Bruce Alan Brown, professor of musicology, has research and teaching interests primarily in music of the later eighteenth century, particularly opera, ballet and performance practice. Bruce Alan Brown, professor of musicology, has research and teaching interests primarily in music of the later eighteenth century, particularly opera, ballet and performance practice. He received degrees in music and musicology from the University of California at Berkeley (PhD 1986), and also studied harpsichord at the Sweelinck Conservatorium, Amsterdam. His publications include Gluck and the French Theatre in Vienna (Oxford, 1991), critical editions of Gluck’s Le Diable à quatre (Kassel, 1992) and L’Arbre enchanté (Kassel, 2009), W. A. Mozart: Così fan tutte (Cambridge, 1995), The Grotesque Dancer on the Eighteenth-Century Stage: Gennaro Magri and His World (ed., with Rebecca Harris-Warrick; Madison, 2005), and numerous articles, including for the New Grove Dictionary of Music (revised ed., 2001). 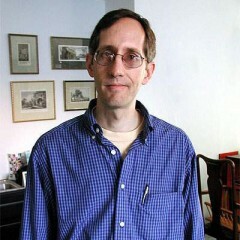 From 2005 to 2007 he served as Editor-in-Chief of the Journal of the American Musicological Society. Dr. Brown has received research grants from the National Endowment for the Humanities and American Council of Learned Societies. He is on the editorial board of the Gluck-Gesamtausgabe, and is a member of the Akademie für Mozart-Forschung (Salzburg).